Adam has been with Kraft Fluid Systems for nearly a decade. 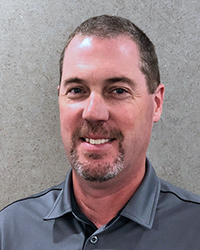 As a territory manager, his duties include growing his account base and presenting hydraulic systems solutions to his OEM clients in the Ohio North region. He is the go-to guy for heavy-duty construction, including pedestal booms, aggregate processing machinery, and drilling equipment. Adam went to Kent State University for general studies, which he jokes is the same degree Tom Brady has. But his real expertise comes from various manufacturer’s product training courses he’s taken over the years including Danfoss Power Solutions, HydraForce, Fairfield, HBC Radiomatic, and becoming a Certified Fluid Power Specialist. In his KSU days, Adam was an NCAA All-American baseball outfielder. Today he enjoys golf, running, collecting sneakers, and spending time with time with wife and daughter. Buck has been in the hydraulics industry for 30 years, and nearly 20 years of that with Kraft Fluid Systems. As a territory manager, his duties include growing his account base and presenting hydraulic systems solutions to his OEM clients in the Mid-Atlantic region. Buck earned his Bachelor of Science in Operation Management from Penn State University. He has completed various manufacturer training courses over the years and is a Certified Fluid Power Specialist. Interesting note that Buck served as general contractor and builder of his own barn-type home for himself and his family. He’s interested in wood working, coaching team sports, and hiking the outdoors in his spare time. Buck says he enjoys working with all the talented team members at Kraft, and especially enjoys the variety of different applications and machines he gets to encounter every day. 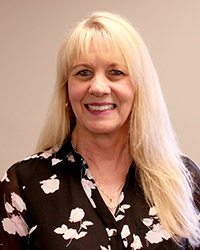 Darlene has been with Kraft Fluid Systems for 22 years, starting out as a Customer Service Representative, and over the last two years has worked as a Sr. Customer Service Representative. Her duties include direct customer service, supporting a territory manager and working closely with the Customer Service Supervisor. Darlene earned a Bachelor of Arts degree from Cleveland State University. Additionally, she has participated in several training sessions related to her profession and is a member of Kraft’s Investment Committee and Kraft’s Charity Committee. Outside of work, Darlene enjoys spending as much time as possible with her family and friends. Her hobbies include cooking, crocheting, and gardening when time permits. 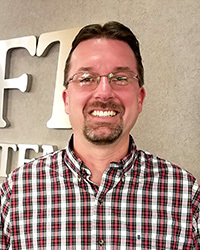 As a Technical Services Manager at Kraft Fluid Systems, Joe manages the Technical Services / Inside Sales Team and maintains primary product specialist responsibilities for multiple lines, including Danfoss PVG and LSHT, Concentric, and Argo-Hytos. Joe is also responsible for BOM management and has been a member of the Kraft team since 1995. Joe earned his Bachelor of Science degree in Mechanical Engineering Technology at the University of Akron. He has also completed Danfoss RAP sessions, as well as dozens of vendor training sessions on-site and off-site over the past 23 years. Additionally, since 1996, Joe has maintained his Fluid Power Specialist certification with the International Fluid Power Society (IFPS). Joe also has expertise in stackable directional valves, gear pumps, cartridge valves, LSHT motors, custom pump/motor combinations, and small power units. Outside of work, Joe is a die-hard Cleveland sport fan. He has been married for 24 years and has two children in college. Joe served for seven years on the Board of Directors for Medina Youth Baseball and is a “retired” youth football and travel baseball coach. He also enjoys landscaping, walleye fishing, and golfing. 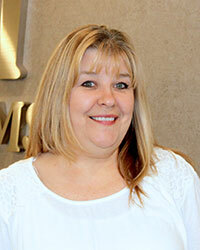 Harriet has been with Kraft for 28 years, starting as a Customer Service Representative (CSR). After being promoted to Senior CSR, Harriet has worked as a Customer Service Supervisor for the past two years directing the activities of the Customer Service Department. Harriet’s main focus is on good communication with Kraft’s customers by meeting their needs and ensuring efficient and effective responses to inquiries. She also facilitates interactions between sales, service, and other departments to ultimately focus on customer satisfaction, while maximizing company service and profit goals. Harriet has attended many classes and seminars throughout her career at Kraft, including business courses related to Supervising and Management, Sales Professionalism, Communications, and Customer Service, as well as technical courses, such as Basic Hydraulics, ongoing Danfoss online hydraulic products training, and other in-house training opportunities. Harriet graduated from Strongsville High School and took classes at Cuyahoga Community College. When not working at Kraft, Harriet enjoys traveling with her husband throughout the United States on their Harley-Davidson motorcycle. The couple have travelled North, South, East, and West, from coast to coast, and everywhere in between. Erik is a Team Leader at Kraft Fluid systems. He focuses his efforts on managing all service and assembly work orders in the production area and produces supporting documentation for all repair and assembly orders. As a supervisor, he provides training and support to new and developing technicians and ensures his team meets the stringent quality requirements set forth by the company. 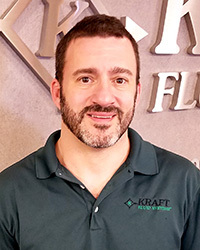 Erik is fluent with Kraft’s manufacturers’ product lines and is a knowledge-base for assembly, evaluation, and repair to most products that the company inventories, services, and sells. 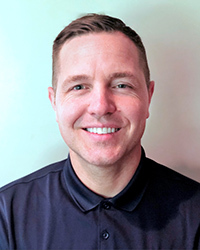 Erik is a Certified Fluid Power Mobile Hydraulic Mechanic (CFPMHM), a Certified Fluid Power Hydraulic Specialist (CFPHS), and has completed the Danfoss Power Solutions Service School course. 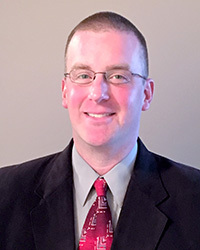 Eager to always learn more, Erik earned his Associate Degree in Applied Science from Hocking College and is currently enrolled at Ohio University seeking his Bachelor in Technical Operations Management. In his spare time, Erik enjoys home remodeling and carpentry, and he and his wife enjoy watching their two daughters compete in team sports throughout the year. Heath works as an Application Engineer at Kraft Fluid Systems. His responsibilities include supporting territory managers with hydraulic component specification, systems design, and troubleshooting. Heath also supports custom applications of Danfoss Plus+1 control software systems according to OEM customer needs. Additionally, he maintains technical support of HBC Radiomatic wireless controls, custom cartridge valve manifold assemblies, custom cylinders, and electronic feedback components such as joysticks and sensors. Heath earned his Bachelor of Science in Industrial Technology at with a focus on materials and processes and a minor in business management from Ohio University. He’s a Certified Fluid Power Hydraulic Specialist (CFPHS), Certified Fluid Power Electronic Controls Specialist (CFPECE), and a Certified Danfoss Plus+1 Developer. In his spare time, Heath enjoys boating, camping, traveling, and participating in a variety of sports. 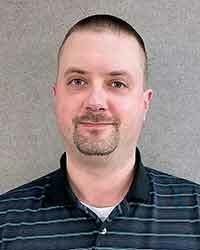 John is a territory manager for Kraft Fluid Systems covering Michigan and Northern Indiana. His specialty is developing agricultural and forestry applications for the mobile equipment market and supports additional territories as needed. John earned his Bachelor of Science in agricultural mechanization & systems from The Ohio State University. He is a graduate of Ohio State Agricultural Technical Institute with an associate degree in mobile equipment technology, as well as earning an associate degree in fluid power. He has attended various manufacturer product courses including the Danfoss Power Solutions Closed Circuit RAP course, Danfoss Power Solutions Advanced Closed-Circuit RAP course, and the Hydraforce Proportional Valve Training seminar. John is certified by the International Fluid Power Society, is a Fluid Power Specialist since 1996, an Electronic Controls Specialist since 2011. He also has product training at various mobile equipment manufacturers over the years. In his spare time, John likes to work on his family farm where one of his hobbies is growing tall corn. He’s set a record in Ohio growing cornstalks more than 21 feet tall. Paul works as an Application Engineer at Kraft Fluid Systems. 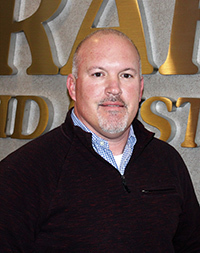 His primary duty is to work with field sales and develop application solutions for mobile equipment; many involve full system hydraulics and electrical controls. He also supports the technical service department to assist customers who call in for technical assistance with components and systems. Paul earned his Associates Degree from the University of Akron and added additional courses at Ohio State Agricultural Technical Institute specializing in hydraulic courses. Additionally, Paul is a Certified Fluid Power Mobile Hydraulic Technician, a Certified Fluid Power Hydraulic Specialist, a Certified Fluid Power Electronic Controls Specialist, and a Plus+1 Controls Programmer. When not working at Kraft Fluid Systems, Paul enjoys classic cars, muscle cars, and motorsports. 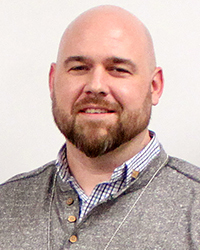 Dan is an Engineering Manager at Kraft Fluid Systems where he manages a five-person engineering team that focuses on timely completion of full hydraulic, electronic control, and electric drive solutions to fulfill customers’ requirements. All engineers are certified hydraulic specialists and four are certified Danfoss Power Solutions Plus+1 GUIDE software developers. Dan’s team’s projects range from the component level through fully integrated system design and sub-system interaction. His team works closely with field sales, customers, and suppliers to develop a custom engineered solution. Dan earned his Bachelor of Science in Mechanical Engineering Technology (BSMET) with a specialization in hydraulics from Purdue University. Dan is also a Certified Fluid Power Specialist (CFPS), a Certified Fluid Power Electronic Control Specialist (CFPES), and a Certified Danfoss Plus+1 Developer. Outside of work, Dan enjoys working with young people coaching youth wrestling and helping with a local scout troop. Additionally, Dan enjoys the outdoors and spends some of his free time hunting and fishing.